Barcelona, Spain - March 03, 2016: Palau De La Musica Opera. Inaugurated In February 9, 1908, It Is One Of Most Famous Concert Hall In Spain. Royalty Free Stok Fotoğraf, Resimler, Görseller Ve Stok Fotoğrafçılık. Image 67240481. Stok Fotoğraf - Barcelona, Spain - March 03, 2016: Palau de la Musica opera. Inaugurated in February 9, 1908, it is one of most famous concert hall in Spain. Barcelona, Spain - March 03, 2016: Palau de la Musica opera. 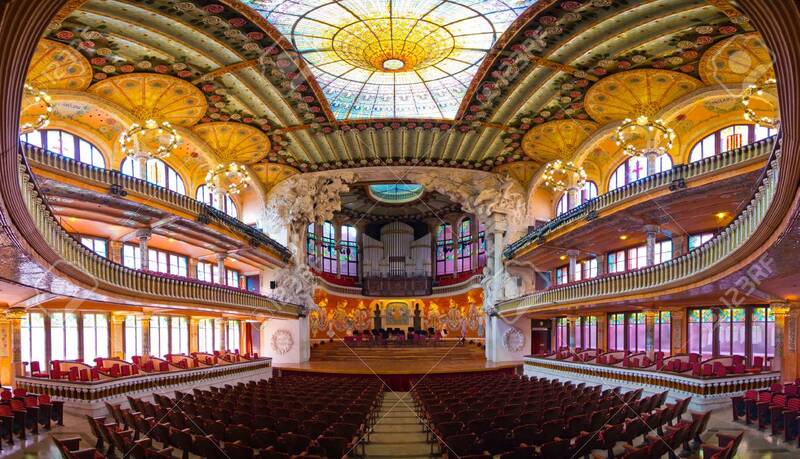 Inaugurated in February 9, 1908, it is one of most famous concert hall in Spain.